Buffalo Bill Cody was bigger than life. He was also braver, handsomer, and kinder—in short, just about perfect, as any reader of Prentiss Ingraham’s dime novels could tell you. Along with his nearly 600 novels and plays, Ingraham (1843–1904), Confederate colonel and mercenary, penned a biography of his hero. The Buffalo Bill Cody who emerges from this book is not so very different from the paragon in Ingraham’s novels, but as Cody’s close companion, Ingraham had the inside story on this iconic figure of the American West. 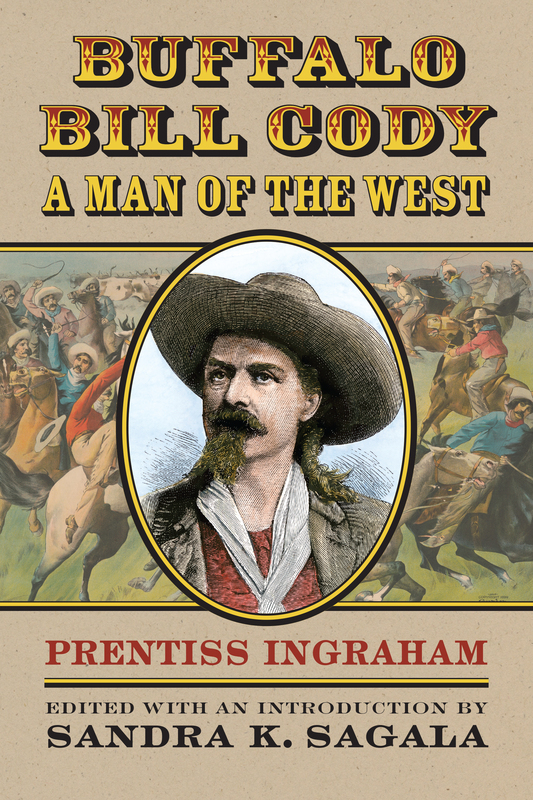 Add to that the dime novel–writer’s bravura style, and Ingraham’s Buffalo Bill Cody: A Man of the West becomes an irresistible work of Americana, in many ways an apt portrait of its larger-than-life subject. And because both men were firsthand witnesses to historic moments—the struggle between slavers and abolitionists, the Civil War, the building of the railroads, the Indian Wars, the golden age of circuses—the biography offers a close-up perspective of life on the American frontier. Published here with an introduction and notes by Cody aficionado Sandra K. Sagala, who transcribed and edited the text of the biography from the original that was serialized in 1895 by Duluth Press, and illustrated with line drawings by one of Ingraham’s contemporaries, Buffalo Bill Cody: A Man of the West is at once a unique view of an outsize figure of the Wild West, an original document of American history, and a performance as entertaining as any the self-styled cowboy and showman Buffalo Bill Cody ever staged. Sandra K. Sagala is an independent researcher, historian, and widely published authority on Buffalo Bill Cody. Her books include Buffalo Bill on Stage and Buffalo Bill on the Silver Screen: The Films of William F. Cody.